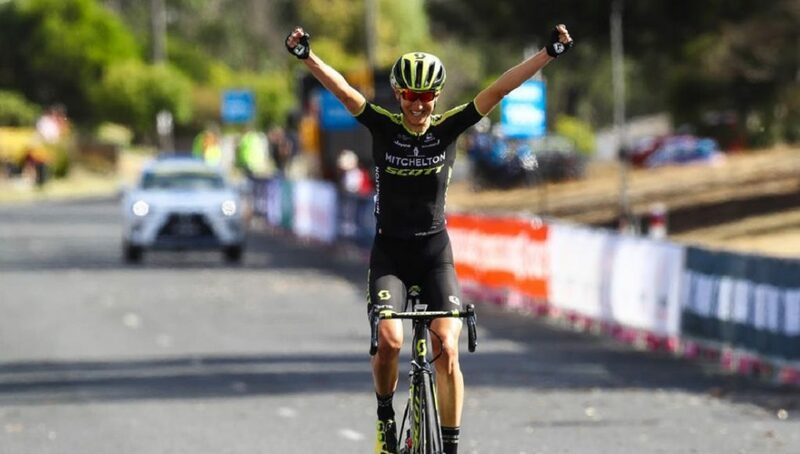 After a second place last weekend at the Cadel Road Race, Lucy Kennedy (Mitchelton-SCOTT) has gone one better at the Lexus of Blackburn Jayco Herald Sun Tour, taking the final stage win and overall title in emphatic style today. 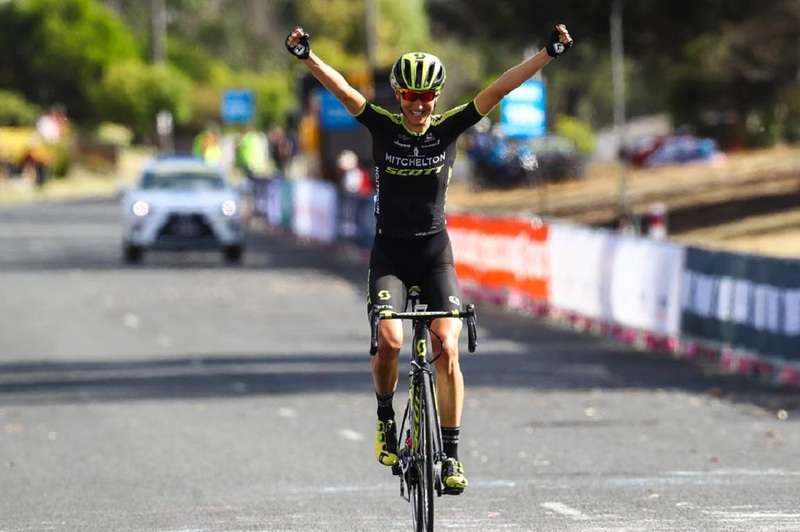 Kennedy used the move of world championship silver medalist Amanda Spratt to bridge across on the final climb before leaving her Mitchelton-SCOTT teammate in her wake, on route to a solo victory. A gap of 39 seconds over the line to Spratt, who won a two-up sprint for second, gave the pair top two on the general classification to perfectly wrap up their Australian summer. After plenty of unsuccessful attacks throughout a taxing and windy day, Mitchelton-SCOTT assembled at the same right hand corner as the men’s race, to put pressure on in crosswinds. 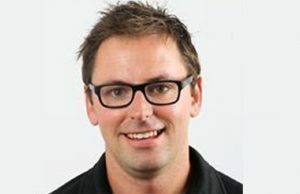 With immediate effect, the group reduced quickly to less than 15 riders, with five still present for Mitchelton-SCOTT. One by one, as their jobs were finished, Gracie Elvin, Georgia Williams and Grace Brown peeled off the group to leave their leaders in the perfect position for the start of the final climb. After a small effort by Kennedy on the bottom slopes of the climb, Spratt put in another move with more emphasis and immediately gained a gap. 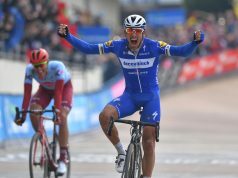 It was enough to shatter the remaining group as three riders formed a chase, with Kennedy there to patrol for Mitchelton-SCOTT. As reigning champion Brodie Chapman (Tibco) worked to close the gap on Spratt, Kennedy used a steeper rise to launch off her wheel, straight to and past her teammate, to lead the race. By the top of the climb Kennedy held a little under 30 second’s advantage to Spratt and Chapman, and she slightly increased that advantage down the descent and to the finish line to win by 39seconds. 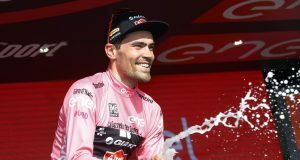 Behind, Spratt and Chapman battled it out in a two-up sprint, with Spratt prevailing, to give Mitchelton-SCOTT the top two overall and the team’s classification. 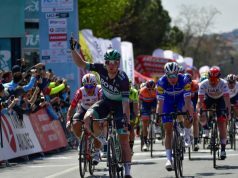 Lucy Kennedy – “As a team we just wanted to make it really really hard leading into the final climb and it was with the cross wind and alot of people were being really aggressive. “The plan was to go from the bottom of the climb. I went first in a ‘not too hard’ attack, then Spratty got away. Brodie was chasing her so I managed to sit on her until I could tell she was hurting a bit and I managed to go over the top, put my head down and kept going. “It (the race) didn’t feel sedate. With the wind, it was taxing all day. It felt like the least sedate day of the Australian summer. Although nothing really got away, there were a lot of attacks.